Brightly-colored vegetables spill forth from the stands. Cheese makers offer tastes of their most recent experiments alongside the varieties they’ve carefully perfected for 20 years. 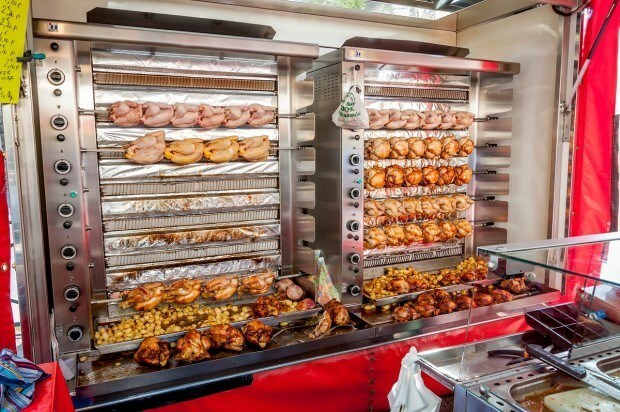 The aroma of roasted chicken drifts through the air while locals arrive for their daily baguettes. A vendor helps a customer choose the perfect scarf to take home. 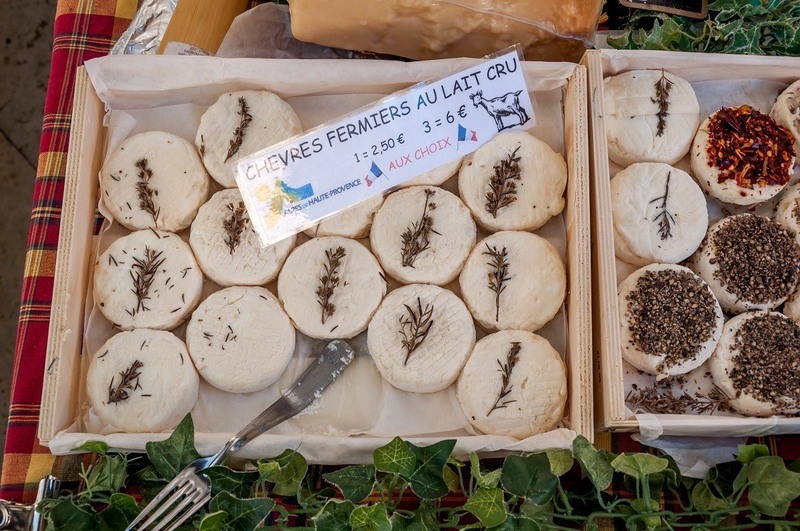 The ambiance at weekly markets–particularly at a Provence market–is addicting. 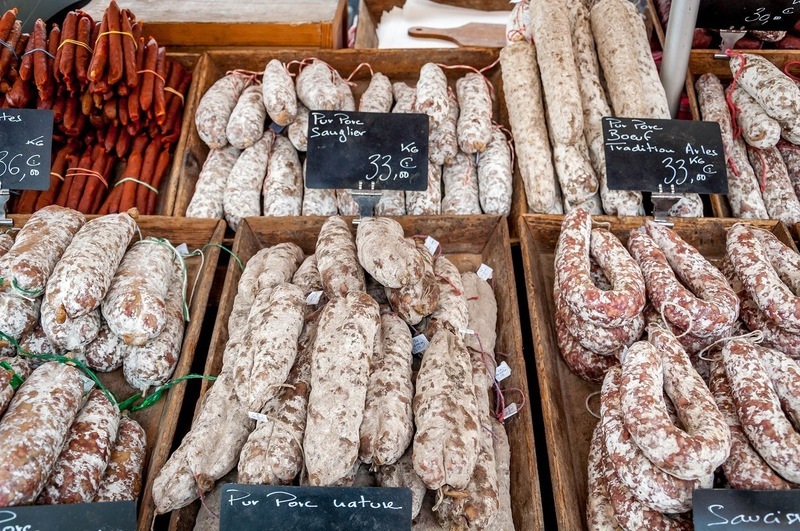 There is more than one reason why I planned my trip to the South of France around market days. 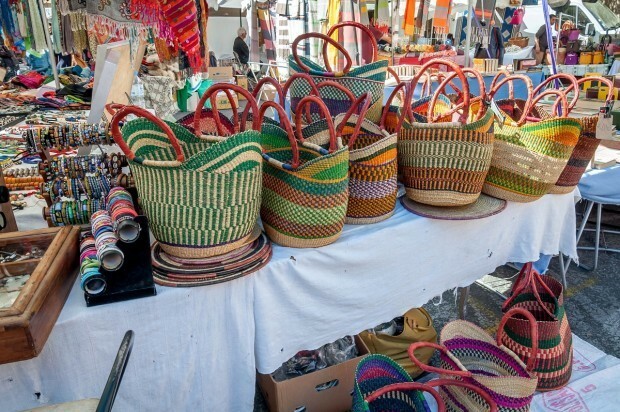 Provence market days are every day of the week, depending on what town you visit. 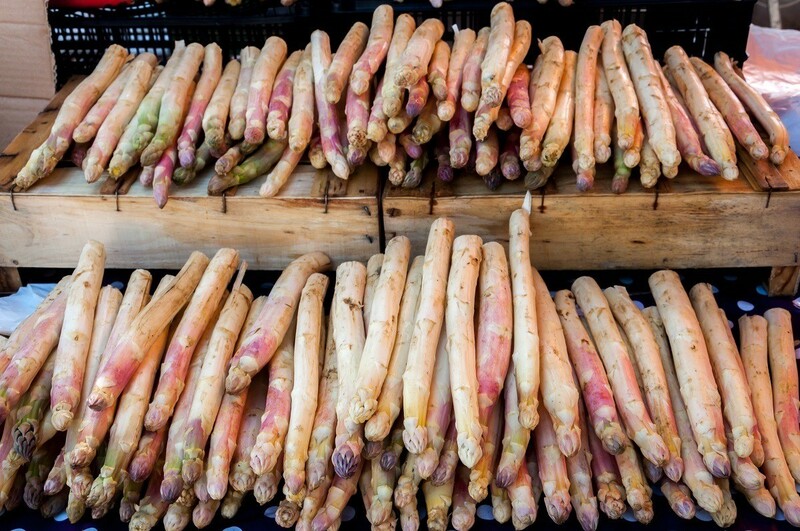 Most markets in Provence are temporary, outdoor markets that take place once or twice a week. They are generally in the main town square but can sprawl down streets and even into other squares, especially on Saturdays. 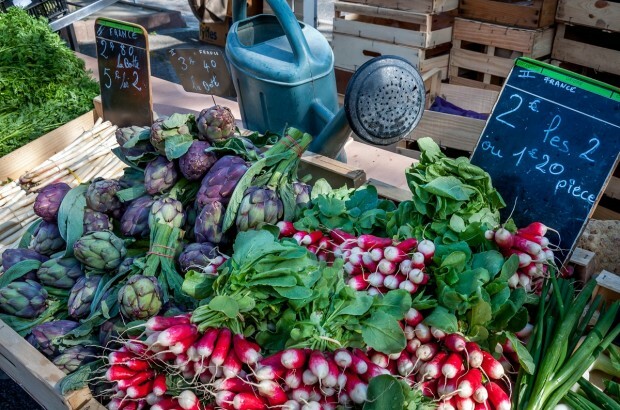 In certain places, like Aix-en-Provence and Uzes, it can feel like the whole town has become part of the market. Heaven. The markets are usually set up in the early morning and open for business around 8am; most close by noon or 1pm. Some set ups are as simple as a card table while others include refrigerated trucks or full rotisseries. While the booths and merchandise are different, you can typically expect that vendors at a Provence market speak enough English to take your order, likely only accept cash, and would love to give you a sample of whatever delicious thing they’re offering. 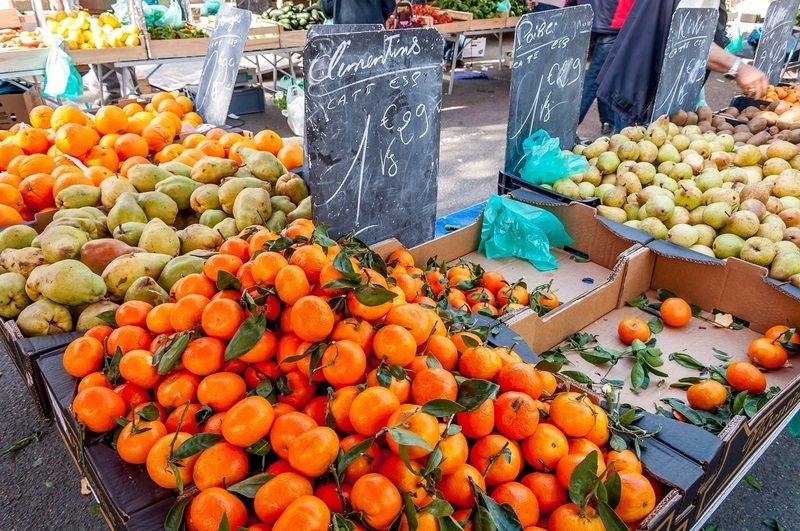 Indoors or outdoors, most French markets offer the best selection of local, seasonal fruit and vegetables. 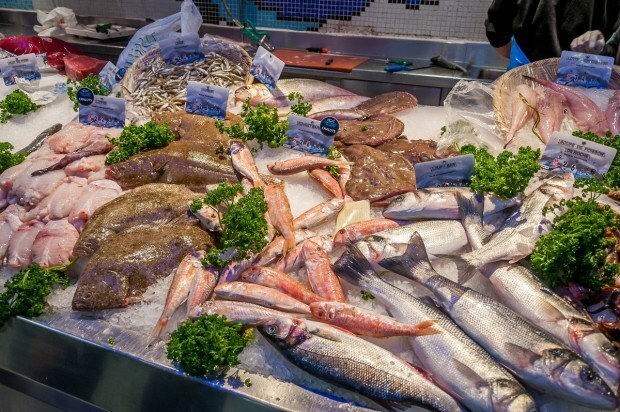 Meat and especially fish are at the peak of freshness or perfectly cured, depending on what you’re looking for. The selection of bread, olives, tapenade, honey, cheese, herbs, spices, and oils is the best around. Some (mostly outdoor) markets also offer Provencal fabrics, straw baskets, clothing, and other household items. 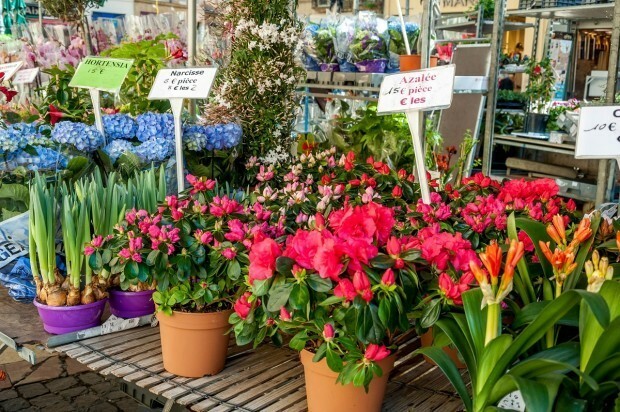 Many of the sellers and producers have been doing this for years and their loyal local customers rely on them for the quality or their goods and their expertise. 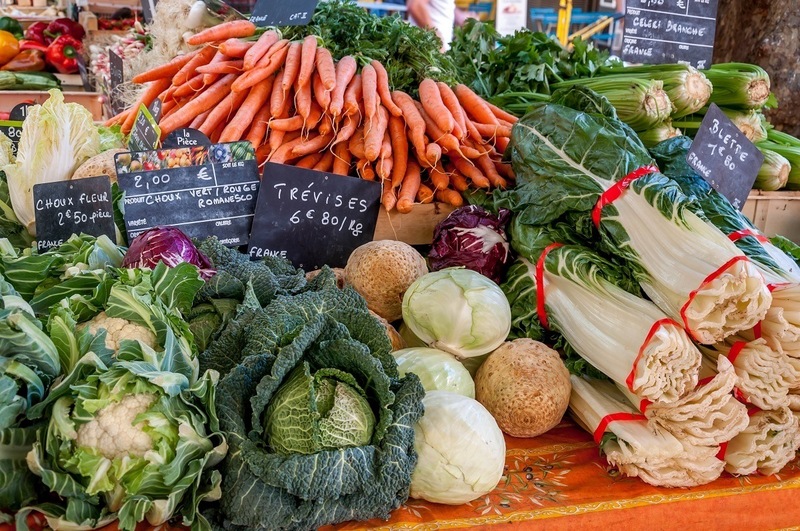 Here’s a look at the seven very different markets I experienced in Provence. Aix-en-Provence, France, is a stunning city dotted with plane trees and fountains and overflowing with joie de vivre. It has a compact, walkable center that makes up in spirit what it lacks in a list of “must see” sites. A day in Aix is just about being and enjoying. 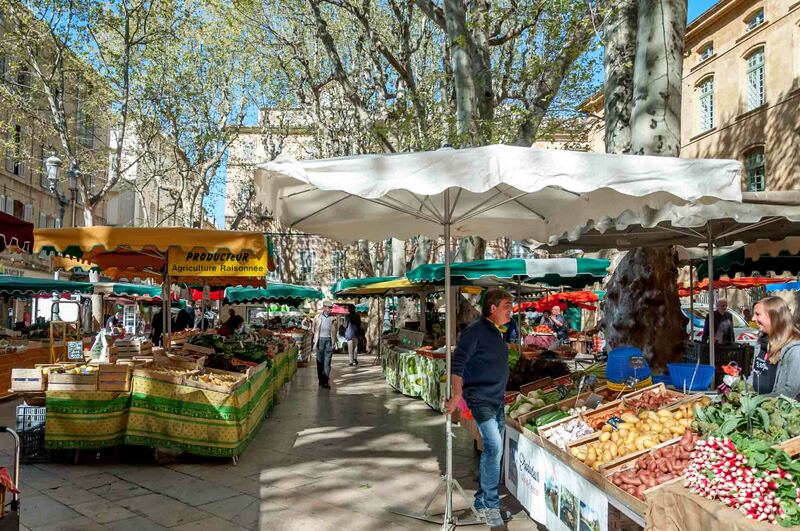 The twisted lanes in Aix lead to squares that host some of the best markets of Provence many days of the week. If you visit Aix-en-Provence on a Tuesday, Thursday, or Saturday, you can have your pick from anything in the farmer’s market, the flower market, the antiques market, the fruit and vegetable market, or the textiles market. It’s an embarrassment of riches. Needless to say, my day trip to Aix was on a Tuesday in order to see as much as possible. This is undoubtedly one of the best towns in Provence for market lovers. It’s barely an exaggeration to say that the choices are endless in all these markets in easy walking distance of one another. In general, items are high quality and negotiation is expected. If you’re shopped out, you can always grab a café table at the famous Les Deux Garcons on Cours Mirabeau and watch the action unfold in front of you. A few kilometers west of the Provence border in the Languedoc-Roussillon region, Nimes is a workaday city with a handful of well-preserved Roman ruins. Its covered French food market, Les Halles, is a short walk from one of these ruins, the Maison Carree. The Nimes market is an unremarkable looking modern building that doesn’t really prompt one to come inside. 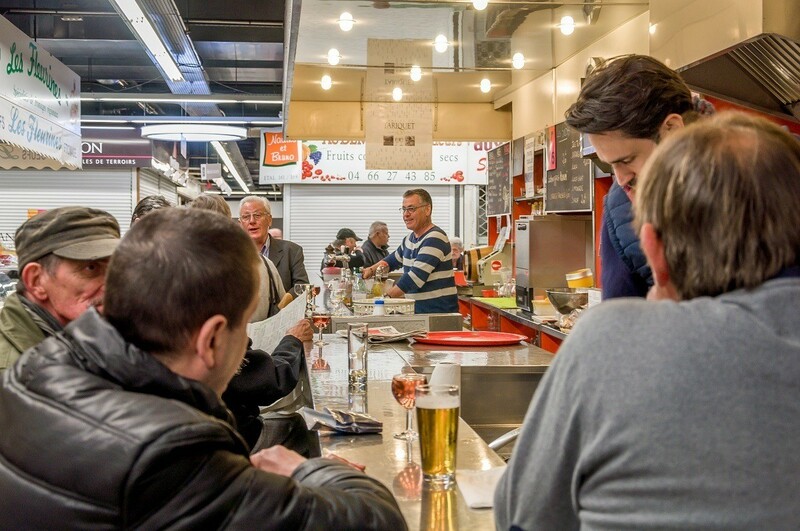 But once you are inside, the place bustles with energy as locals buy specialties such as brandade de morue (pureed salt cod and olive oil) or green olives. As with the other markets, there is also plenty of meat and vegetables on offer. I visited Nimes on a Monday, which tends to be a slow day for many markets–if they’re open at all–so some of the stalls were closed. One place still buzzing with activity was one of the market’s four restaurants, La Buvette Des Halles, where locals were gathered sipping wine and catching up on the news. Try to make time on your visit for a quick stop here or at one of the other restaurants to really take in the ambiance (and enjoy some bubbly!). With its red cliffs, stone buildings, and hidden lanes, Roussillon begs you to slow down and stay for a while. One of the best villages in Provence, Roussillon has been protected since 1943, so there is an absence of modern development and an abundance of all things Provencal. Its population is less than 1500, so a day wandering its lanes, browsing, and wine tasting truly feels like a getaway. 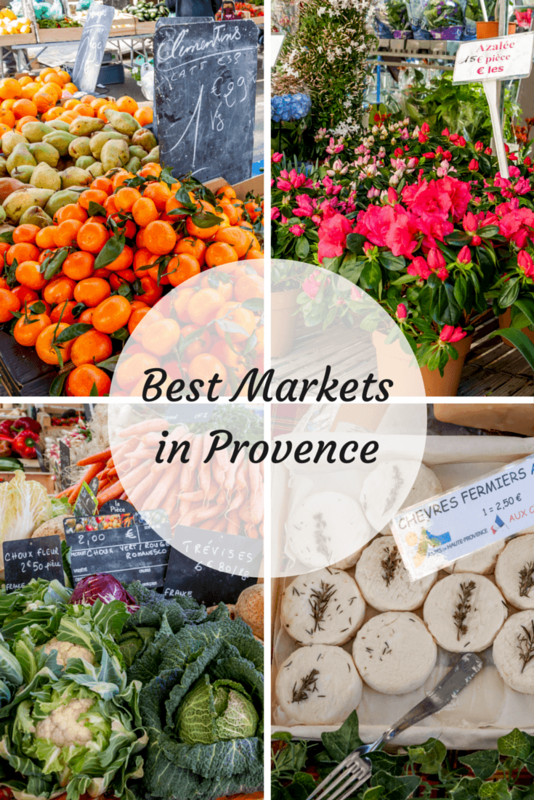 Unlike the other markets on this list, the one in Rousillon is on the small side. It focuses less on brilliant produce and more on specialty items such a linens, soaps, wines, and ochre pigments, reminiscent of the surrounding hills. Located on the main square in front of the pharmacy, it’s impossible to miss on any trip through the town on a Thursday. 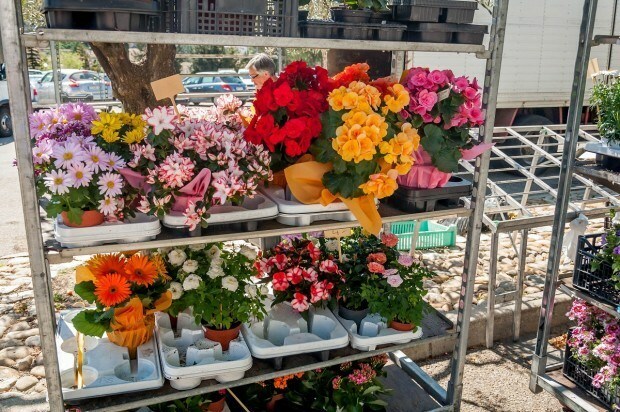 The market itself is not a reason to visit, but it complements the already lovely things to see here. Like many places in the south of France, Uzes dates from Roman times. The circular streets that ring the old town were once walls that protected the medieval castle in 1100s. You can still see towers, medieval gardens, and streets that make you feel like you’ve stepped back in history about 800 years. 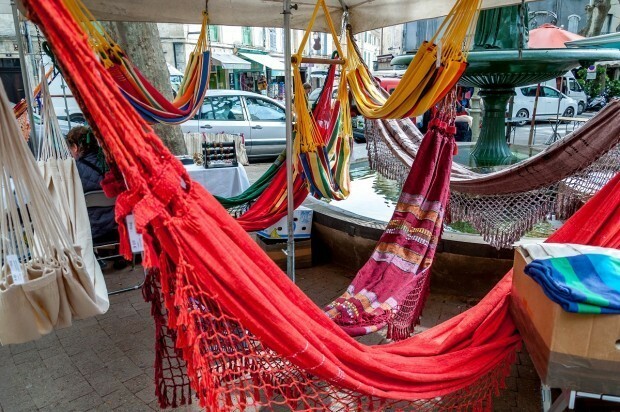 On market days, many of these areas are taken over by vendors as the market sprawls through the streets of Uzes (though is it technically centered in the Place aux Herbes). 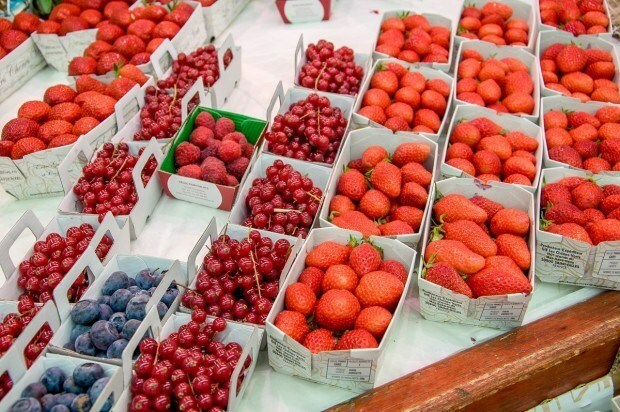 The Wednesday morning market is focused on food, including locally-grown produce and specialties. As with most French markets, you can also find cheese, olives, bread, herbs, and other Provence essentials that make it nearly impossible to resist picking up picnic supplies. The Saturday morning market in Uzes is enormous. 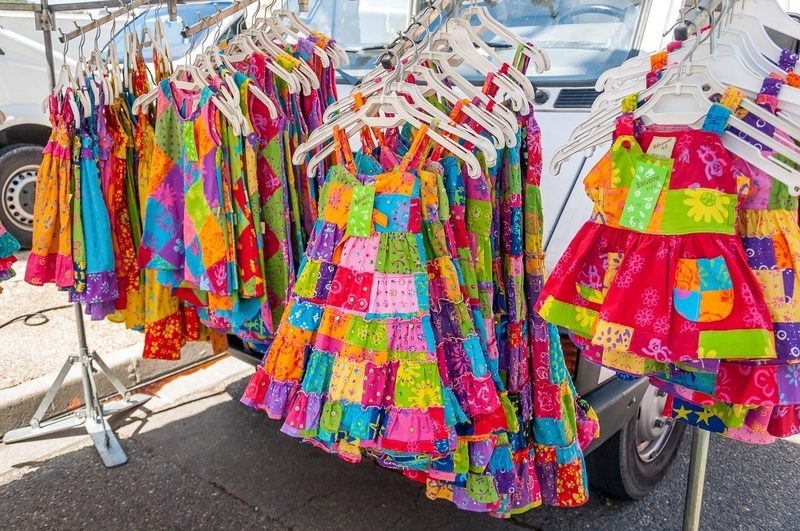 It includes food as well as flowers and household items such as linens, housewares, clothes, and jewelry. Many shop owners also set up sidewalk displays, so the market feels nearly endless as you wander across the cobblestones. Saturdays are crowded, so plan accordingly. The charming city of Arles is a UNESCO World Heritage site on the Rhone River. Once home to Van Gogh, the town explodes in the colors you might expect of Provence–brilliant golds, bright blues, and soft greens–making you feel like you just stepped into one of the master’s paintings. 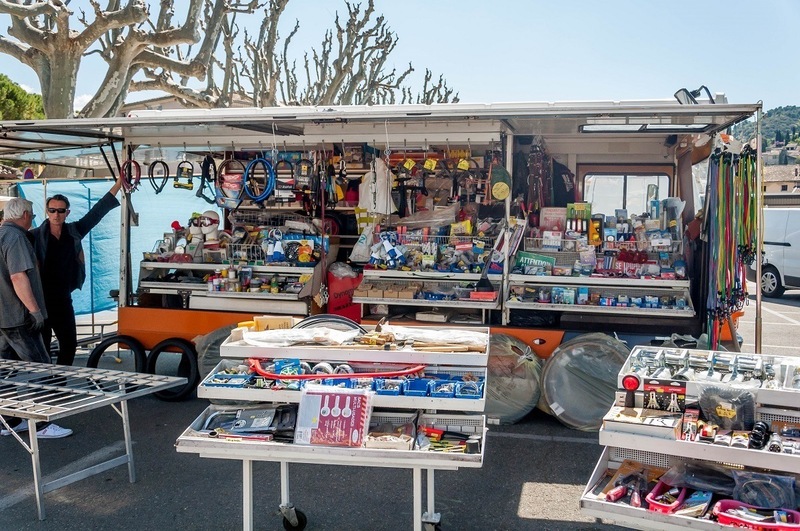 Nowhere is the town more lively than during the twice-weekly markets on the ring road. 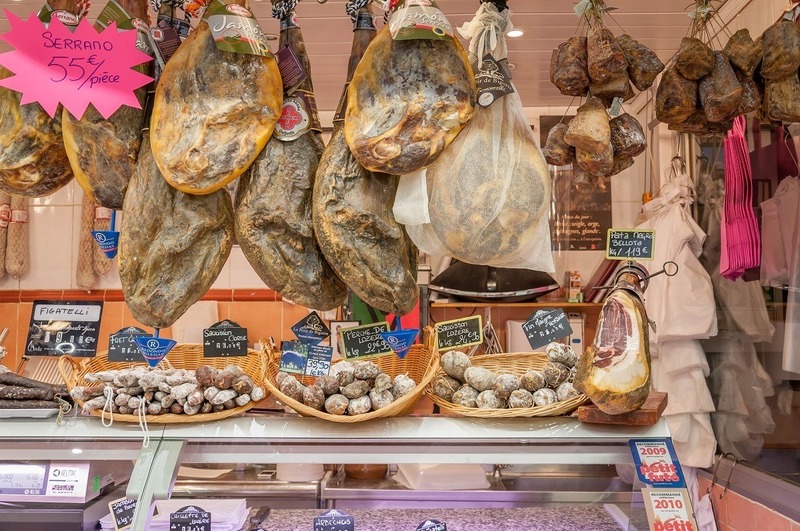 Vendors offer a wide variety of seafood, meats, jams, and produce in every color imaginable. Most things are available for sampling, so try the olives, sip the wine, and savor the sausage. 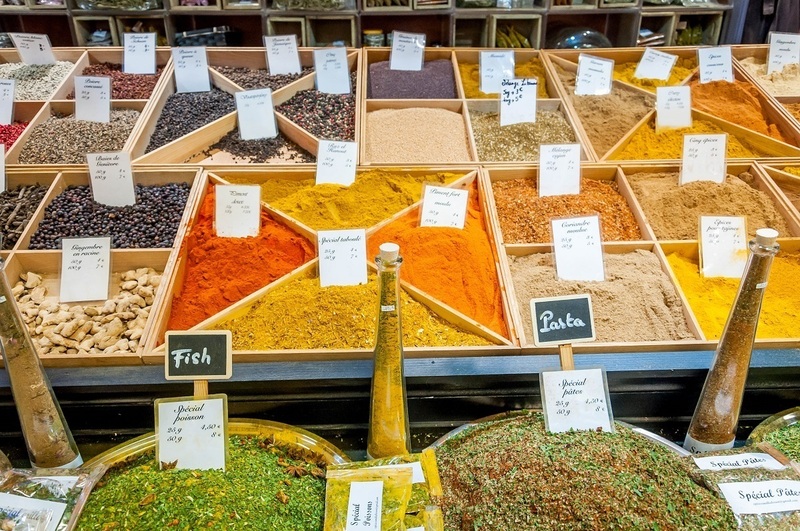 Arles’ unique quality is the international flare of some of its offerings, particularly halal meats and products and spices from North Africa. Even if you’re not in the mood to buy, you can lose yourself here for at least an hour before heading to the town’s attractions. Inhabited in some fashion for about 2300 years, Vaison la Romaine is full of history. Today, it’s known for its collection of Roman ruins–not just grand structures but homes that have given archaeologists an indication about what life was like during Roman times. This historic town is separated into the upper and lower towns, which are joined by a 2000-year-old arched Roman bridge. Most sights and the market are located in the lower town. 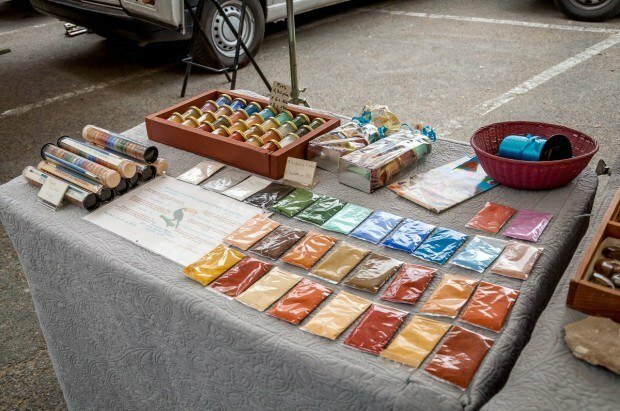 Every Tuesday and Saturday morning, producers and vendors fill the streets, squares, and even parking lots with their wares. In the height of the summer, there are hundreds of sellers in the area around Place François Cevert. Produce is a huge component of the market along with meats, seafood, and flowers. 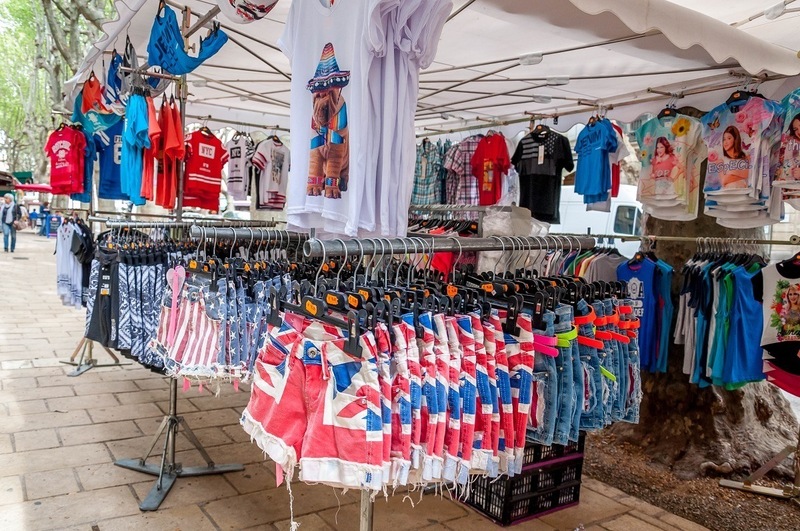 You can also find everything from linens and soaps to souvenirs and tools. Crowds here can be a bit much at the height of the summer, so definitely plan to arrive early. The historic city of Avignon sits on the left bank of the Rhone River in the heart of Provence. The old town of this lovely place is designated as a UNESCO World Heritage site, anchored by its Palace of the Popes, which dates from the 14th century. Avignon is large enough to have lots of things to do but small enough to be inviting and easy to get around. Not far from the historic area is the market, which is also a tourist attraction for many groups who stop in town on river cruises. 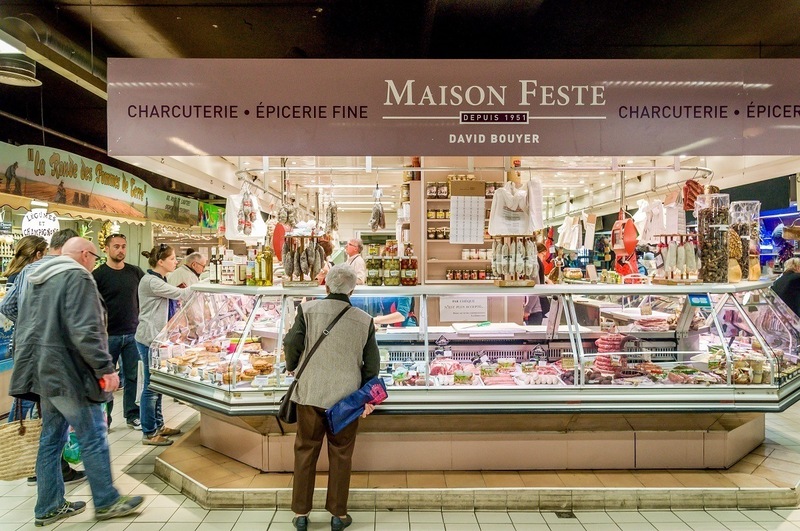 Les Halles, the Avignon market, is home to about 40 stalls selling just about every food item one could need. In addition, there are several bars and restaurants serving wine, seafood, and other delicacies. Several of the shops will heat up a tart or other dish of your choice for you to enjoy in the square just outside the market, which makes for a delicious, quick lunch option. On Saturdays at 11am (except in August), local chefs do cooking demonstrations of their popular dishes. During my visit, free tastes were offered along with a small sample of a paired wine for about an hour after the demonstration was complete. Definitely something worth seeing if your schedule allows. What is your favorite thing about markets? 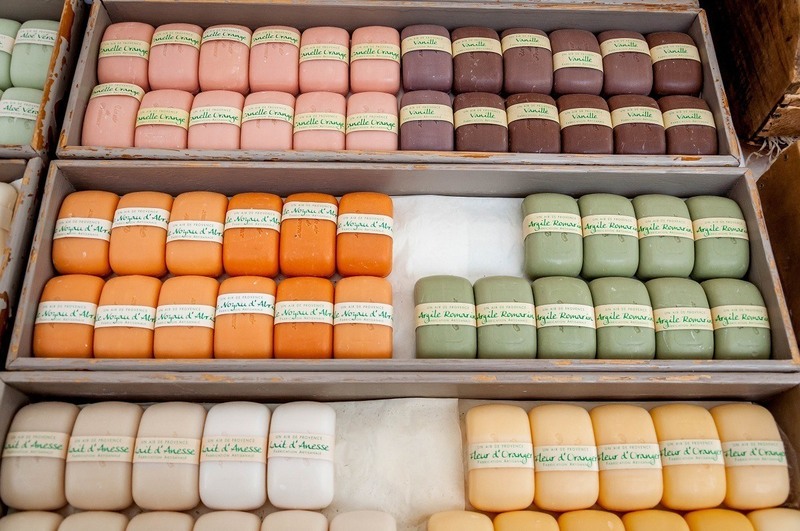 What do you think about An Embarrassment of Riches — Provence Market Days? I’ve never really gone and checked out markets when I’ve traveled and I’m not sure why, since I love markets at home. All of these markets look fantastic. They’re amazing in France and so much a part of the towns that they’re hard to miss. 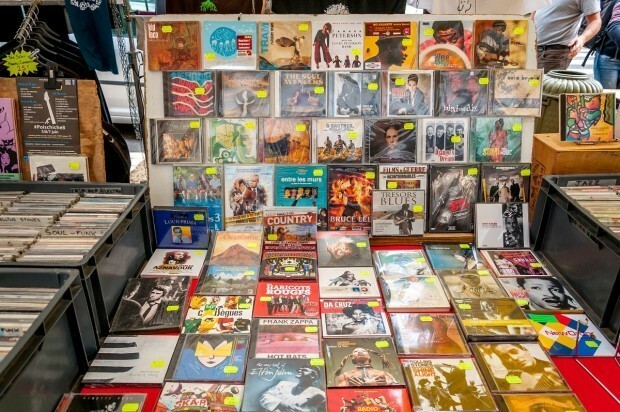 Great roundup of all these markets- I’ve been to a few. I was trying to see current prices of things to learn how expensive they currently are. What was your general impression? I shopped primarily at the market in Avignon, and I thought the prices for cheese, fresh produce, and some of the prepared items were quite good. Olives were a little more expensive than I expected, but I don’t really buy them in my daily life in the US, so I don’t have anything to compare to. Before going to France, I read that olive oil and wine are generally overpriced in the markets, so I stuck to the grocery store for those (there was decent wine for 5 euro). I didn’t price the household items or clothes. It helped that the dollar/euro exchange rate was more favorable than it’s ever been. Ahh I just love open air markets like this! I would be the type to plan my trip around market days as well. Just love the lively atmosphere, even if I don’t really plan to buy much (though I can never say no to fresh fruits to eat right then and there). These markets all look incredible!!! I have been on a France kick lately, and I’d love to check some of these out when I head over there. Thanks for putting this together! These are Lovely open air markets, the choices are indeed endless in these places! Plus southern French ones have a special atmosphere to them, very authentic! The outdoor market looks impressive! Did you also get to see the beautiful lavender fields while in Provence? Gosh, I’ve been wanting to go there since 2012. I love your blog, BTW. Sadly, no. I visited in April, which is on the early side for the lavender. Not Toulon’s ? It’s the biggest of Provence and is there 6 days a week.